Description : A deciduous tree which grows to a height of 60 to 80 feet. 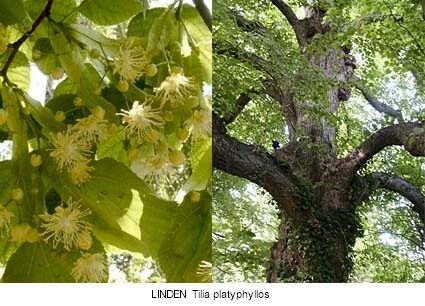 The linden blooms with fragrant yellowish-white flowers in mid-summer. Description : A small deciduous tree which flowers with lotus-shaped blossoms in mid-summer. Its sweet red fruit ripens in late autumn. 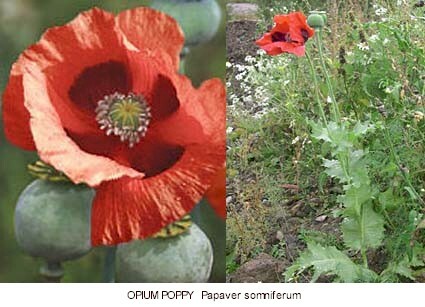 Description : An herbaceous perennial with aromatic leaves. Description : A poisonous herb with black roots and milk-white flowers. Description : A small deciduous tree or bush native to western Asia. 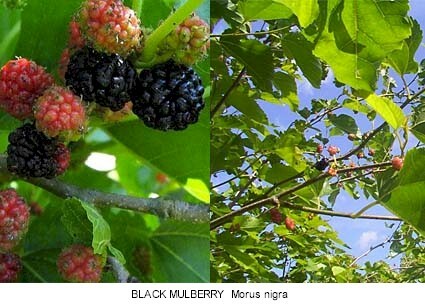 It is cultivated for its juicy, dark-red berries. 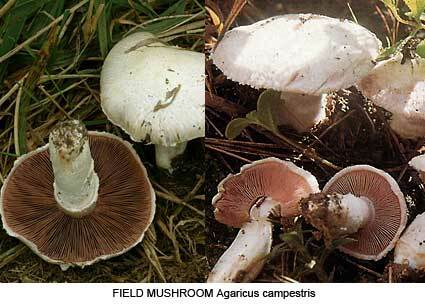 Descriptions : Mushrooms were regarded as a delicacy in the ancient world and were harvested from the wild. Description : A small, spiny desert tree native to Arabia and the horn of Africa. Its valuable, aromatic gum resin was harvested and burnt as an incense in ancient religious shrines. Description : A small evergreen tree or shrub with aromatic, spicy-tasting leaves. 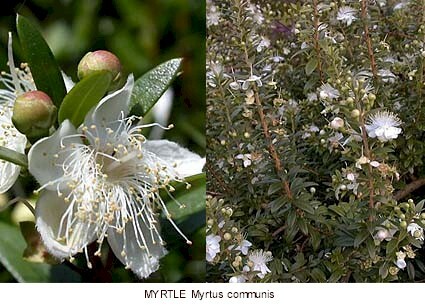 It blooms with sweet-scented, white flowers in spring and summer, and produces edible blue-black berries. 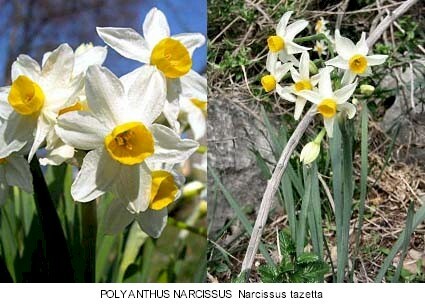 Description : A late winter, early spring flowering bulb with pale cream-petalled and yellow-trumpeted blooms. 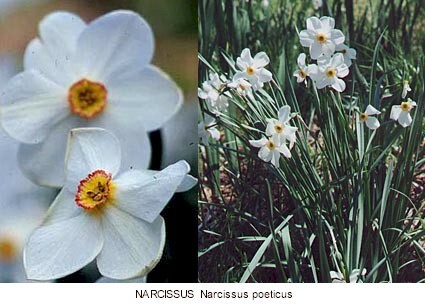 According to Plutarch, the plant was named for the numbing effect (narkê) of the ingested bulb. Description : The oak was the dominant tree of the ancient Greek landscape. In fact the ancient Greek word for oak, 'drys', was also the word for tree. 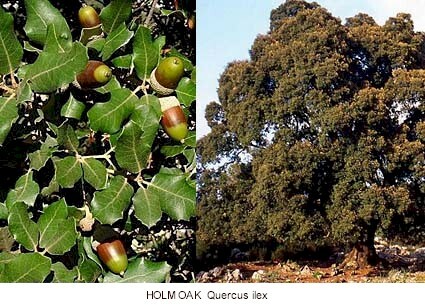 The two main commonly found in the region are the evergreen holm oak and the deciduous Valonian. 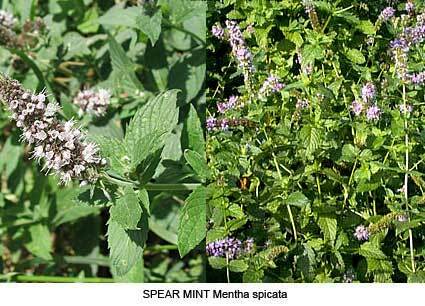 Both range in size from thick low shrub (forming the basis of the modern-day Meditteranean scrub forests) to large trees. They were valued for their wood and for the autumn-ripening acorns. Tanin was also extracted from the acorn cups of the Valonian oak. This substance was a vital component employed in the tanning of leather hides. In Greek lore, the primitive, pre-agrarian tribes of Arkadia were said to have lived on a stable diet of acorns. In classical times it was a food only of last resort consumed in times of famine. Usually acorns were reserved for animal feed. Myth 5 : Sacrilege of Erysikthon. 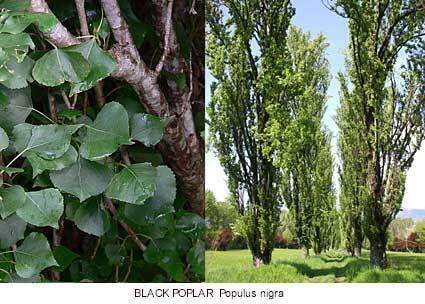 See Poplar, black. 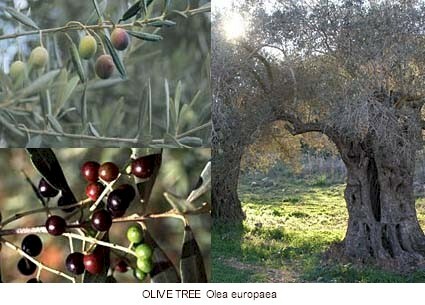 Description : The olive was the most important tree of ancient Greek horticulture. The fruit was used as a relish with bread, and its oil employed in cooking, lamps for light, and as a, sometimes perfumed, lotion for the skin and hair. Description :A medium sized tree which grows to a height of 15 to 25 metres. 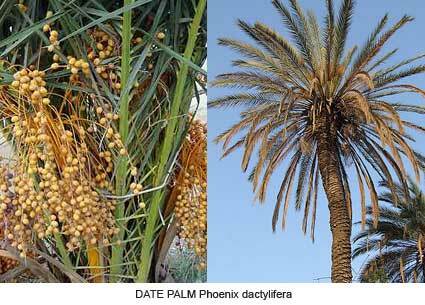 Its edible dates are harvested. Sacred to : Apollon and Leto (the sacred palm tree of Apollon's birth grew in his sanctuary on the island of Delos); Nike (the goddess of victory held a palm branch as an attribute). Description : The pear was one of the mainstays of the ancient Greek orchard, alongside the apple, pomegranate, fig and olive. Despite its prominence the tree is curiously absent from myth. The travel writer Pausanias mentions an old cult statue or two crafted out of pear-wood. 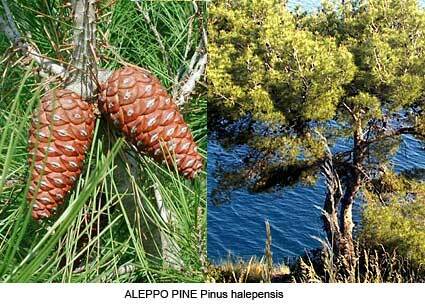 Description : The Aleppo is a coastal pine which grows to a height of 15 to 25 metres. The Turkish pine is another coastal pine, somewhat larger at 20 to 35 metres, with edible seeds. Pine wood was commonly used by the ancients for shipbuilding and also for torches. 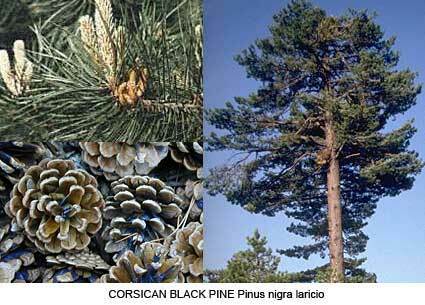 Description : The Corsican pine is a mountain growing tree which reaches a height of 20 to 55 metres. It is a subspecies of the European black pine. The stone pine is smaller, at 15 to 25 metres, has umbrella-shaped crown and produces the edible pine nut. 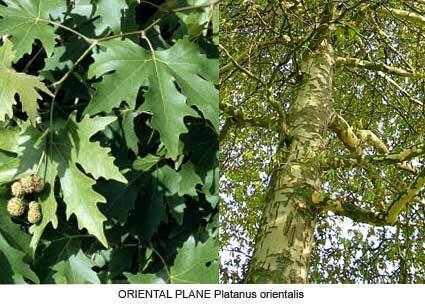 Description : A wide-spreading deciduous tree usually found growing in river plains. The tree produces round, burr-like fruits in autumn. Many Greek cities, including Athens, planted plane trees for shade. Plane and elm tree saplings were also used for vine trellacing. 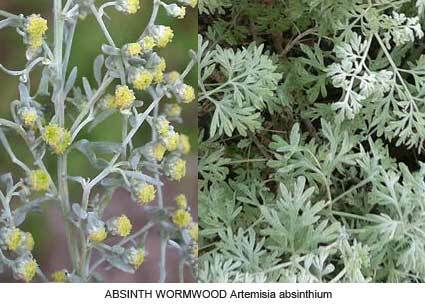 Description : According to ancient sources the plany resembled or was a type of absinth wormwood (aka armoise), a herbaceous perennial with silvery green leaves and pale yellow flowers. It was also likened to melilot (yellow sweet clover). 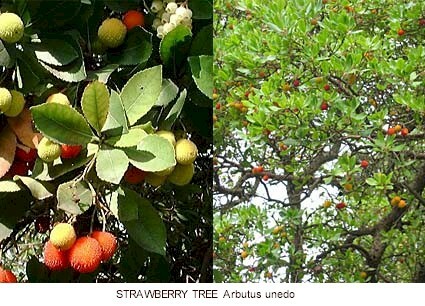 Description : A fruit-bearing deciduous shrub or small tree which grows to a height of 5 to 8 metres. 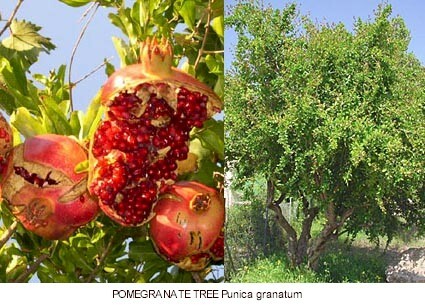 It produces a red fruit about the size of an orange, rich in seeds and with a juicy red fruit pulp. 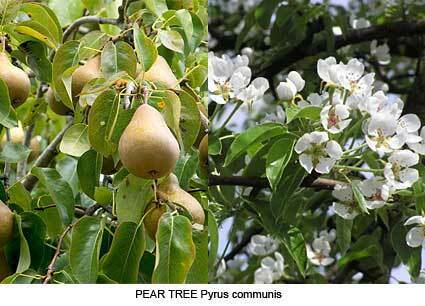 The tree was cultivated in ancient orchards alongside the apple, pear, fig and olive.. Description : A tall, narrow deciduous tree which grows to a height of 30 to 40 metres. Poplars are commonly found growing along the banks of rivers. Myth 1 : Metamorphosis Heliades. The Heliades were nymph daughters of the sun-god Helios. After the death of their brother Phaethon, who had fallen from the chariot of the sun, the sisters gathered on the banks of the northern river Eridanos in ceaseless mourning and were transformed into amber-teared poplar trees. Description : A deciduous tree which grows to a height of 15 to 25 metres. 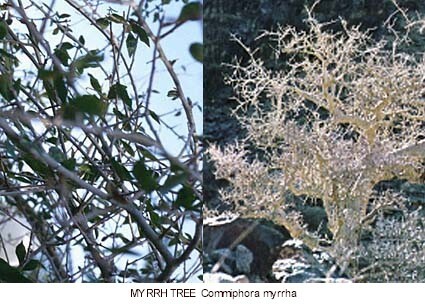 Its has smooth, grey-white bark, and leaves which are green on top with white undersides. New leaves are covered in a whitish-grey down. Myth 1 : Metamorphosis Leuke. Leuke was a nymph who was carried off by the god Haides. 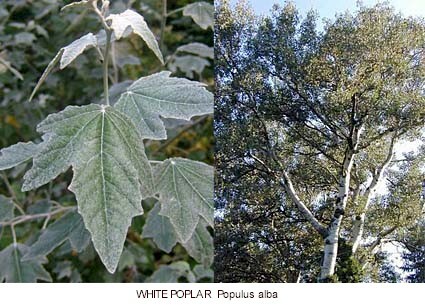 After her death she was transformed into a white poplar in Elysium. (Source: Servius). 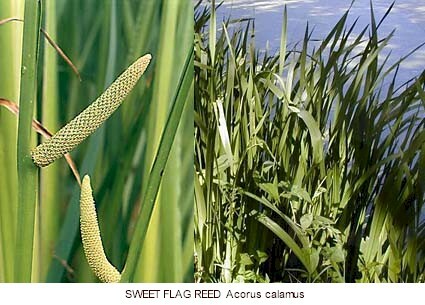 Description : A perennial wetland reed with scented leaves. Its seed spikes grow on tall stalks. The rustic panpipe of the ancients was made from the hollowed out stalks of the plant.. Description : A low growing perennial shrub with large, delicate, pink or yellow flowers. Mythology : Seduction of Medousa. 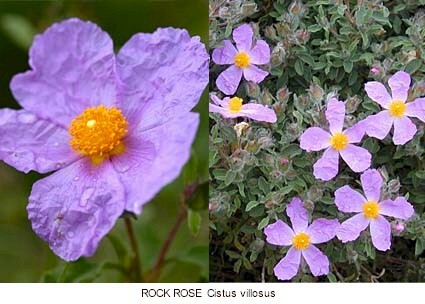 The Gorgon Medousa was seduced by Poseidon in a meadow of rock roses on the island of Kisthene. The isle was named Kisthene for the flower kisthos. Description : A deciduous thorny shrub with bright pink flowers. 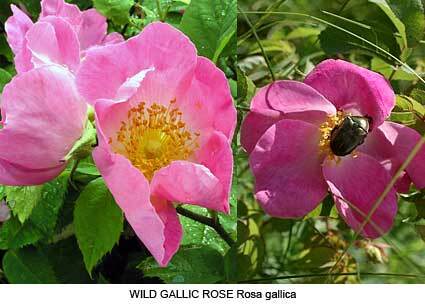 The rose was cultivated by the Greeks and Romans. Myth 1 : Death of Adonis. The flower was said to have sprung or been coloured by the blood of Aphrodite's dying love Adonis. Description : A small evergreen tree or shrub which grows to a height of 5 to 10 metres. It produces bell shaped flowers in spring, and red berries in the autumn. The fruit is edible but bland. Sacred to : Hermes (a sacred strawberry tree stood in his sanctuary at Tanagra). 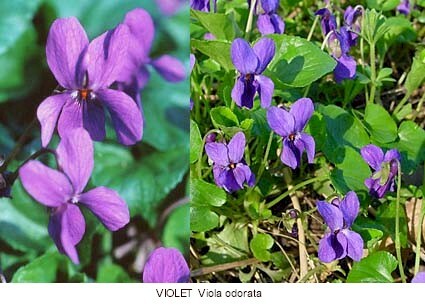 Description : A small perennial with sweet-scented, violet-coloured flowers. 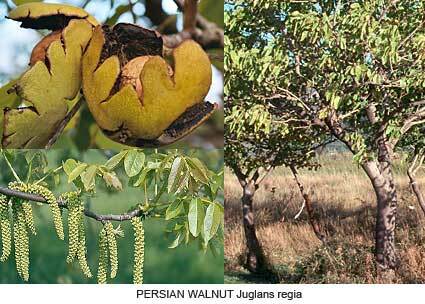 Description : The Greek word karya was used for three types of nut tree, but usually the walnut and hazel. The walnut is a deciduous tree growing 25 to 35 metres tall. 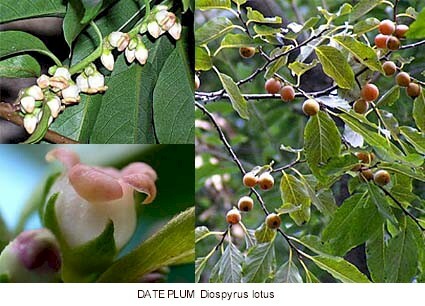 The male flowers are drooping catkins which fruit in autumn with green, fleshy husks containing an edible nut. Walnuts, as well as hazelnuts and sweet chestnuts were harvested by the ancients. Description : The chief agricultural crop. 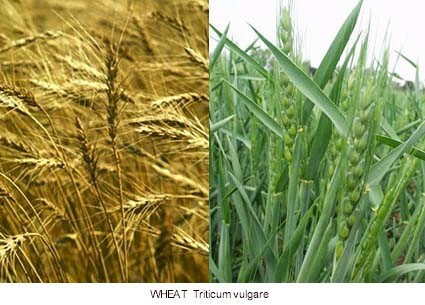 The Greeks sowed in late autumn or early and spring, and reaped the ripened grain in mid summer. Description : A deciduous tree which grows to a height of 20 to 30 metres tall. 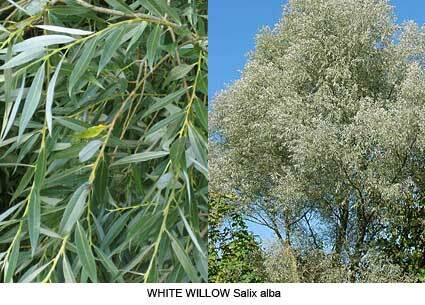 Silky white hairs on its long thin leaves give the tree a silver sheen. Its flowers are catkins. Wicker baskets, shields and other items were made from its stems. Description : A small to medium-sized evergreen conifer growing to a height of 10 to 20 metres. The plant fruits with small red berries. 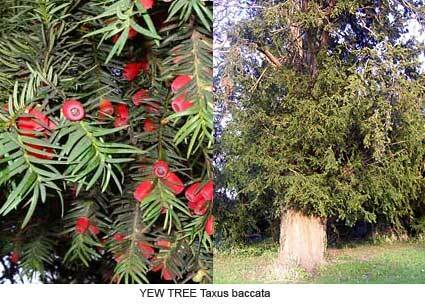 The strong, flexible wood of the yew was used by the ancients for crafting bows. The leaves and seeds are toxic, and the burning wood emits toxic fumes. Sacred to : The Erinyes (a yew branch was one of their attributes, used to drip purifying drops of water and as a flaming torch).